The best recommendation for any Tumut motel accommodation is by people that stay in them. These 100% Genuine Reviews about Boutique Motel Sefton House, say it all. " Try Something Different, You'll love it. " ” We enjoyed our brief stay. How beautifully different from ordinary sterile motels !!! and so, so! clean and peaceful. Why would you stay in an ordinary motel when you can stay at Boutique Motel Sefton House.” Many Thanks, Dianne & John, Sydney. The best recommendation for any Tumut motel is by the people that stay in them. These 100% Genuine Reviews about Boutique Motel Sefton House say it all. Stay at Boutique Motel Sefton House and experience Something Different, Something Special, its Tumut accommodation at it’s very finest. Totally renovated throughout and spotlessley clean. Luxury en-suites & bathrooms, beautiful selection of room styles, luxury lounge, gated off street parking and easy walk to shops, cafes, Tumut River etc. Book a room or book the entire Sefton House just for your group; it’s your choice. Staying at Boutique Motel Sefton House is a wonderful experience; peaceful, relaxing, luxurious and historical. Over the years we have received hundreds of guest reviews and these are a small sample of 100% genuine guest reviews. 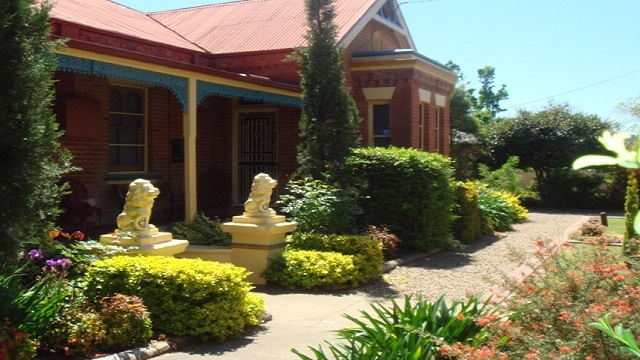 Try Something Different And Stay At Beautiful Boutique Motel Sefton House. Try It, You’ll Love It. ” Lovely accommodation with a wonderful history and character. Our group loved our stay at Sefton House.” The art team from the movie The Daughter – Geoffrey Rush. “WHAT A WONDERFUL PLACE TO STAY. BEATS A STANDARD MOTEL ANYDAY! THANK YOU FOR PROVIDING ALL WE NEEDED PLUS MORE. GOD BLESS.” Helen & Caroline, Anglican. ” A beautiful place (Boutique Motel Sefton House) with unequalled charm. Sitting on the veranda in your beautiful gardens was a lovely start to any day!. We leave refreshed and ready for our climb up into the Snowy Mountains. Thank you for the hospitality. ” Laura and Matt. Outer Hebrides Scotland. ” What a great place, so much better than staying in an ordinary motel, we tried it and we loved it! Thank you. ” Jeff and Abel, Darwin. ” What a lovely way to start our 2 week road trip. Thank you for our beautiful accommodation, a lovely room in a beautiful motel. Everything you would expect in an amazing boutique motel, Thank you.” Heather and Glen. Central Coast. ” A splendid alternative to a motel. Relaxing room, quiet and still in the centre of town. Very welcoming, attentive hosts, a little bit of preserved Australian history. Thank you for your efforts to create this gentle place and enable a relaxing opportunity.” Sue and Adrian. ” Comfortable and unique. Would be hard to find better in Tumut. Thank you for making us feel welcome. We would liked to have stayed longer.” Doug and Beth, Berry NSW, 02/04/2019. “Beautiful room, very homely, will be back.” Sandra and Barry Canberra, 25 to 27/03/2019. ” Thank you for a beautiful place to stay, its a lovely peaceful place to be and just walking distance to everything. Thank you for all the great advice on where to eat, the food was amazing. Was lovely to meet you.” Nicole 21/02/2017. Newcastle. ” We had an amazing night staying in the Queen Victoria Suite. You have done a fabulous job bringing this wonderful historic building to its former glory. Well done + thank you.” Rob and Sharon Eisenhauer 31/01/2017. ” What a pleasure it has been both staying here and meeting you. We cannot wait to return to Sefton house. x x ” Team Viva – Carmen + Clare 24/01/2017. ” It was a pleasure to stay in such comfortable acommodation. Quiet, peaceful environment, a real treat.” Ken and Annette Hoad. ” A lovely place to spend a relaxing weekend. It is a beautiful boutique motel and a great location.” David and Carmen. Canberra. ” Dear Tane & Renaa Thank you for an awsome stay.The weekend was one to remember for our Wedding Anniversary. Peter & Lin Brielg” Canberra. ” Thank you for a lovely weekend. Room is very roomy, bed is very comfy. I highly recommend Sefton House the place to stay. The 60th birthday was fantastic. Richard & Julie ” Sydney. “We agree whole heartedly with the comments for Sefton House from earlier guests. You have raised the bar of our expectations for future holiday accommodation from anywhere else.” The Grice Family, Canberra. “The Almond family had a wonderful time celebrating Mum’s 90th birthday at Sefton House! Four Generations had a lovely time together. Thanks for helping us to have a great time!” Almond & extended family.